I had orgininally planned on visiting Haezuk, a pirate themed Korean Japanese fusion restaurant but it turns out they were closed for renovations even though it seemed like they had opened recently. Anyway, Stepho’s was conveniently located around the corner and there wasn’t much of a line up for lunch so we went there instead. We decided to all share a Calamari as an appetizer. 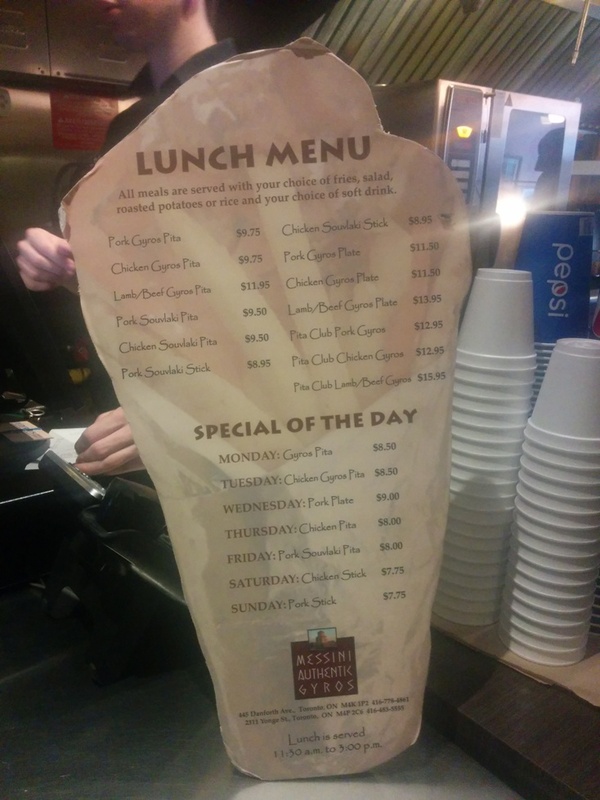 It was presented with a small size of Greek salad, banana pepper and a lemon wedge. The appetizer portion wasn’t that big compared to the entrees. 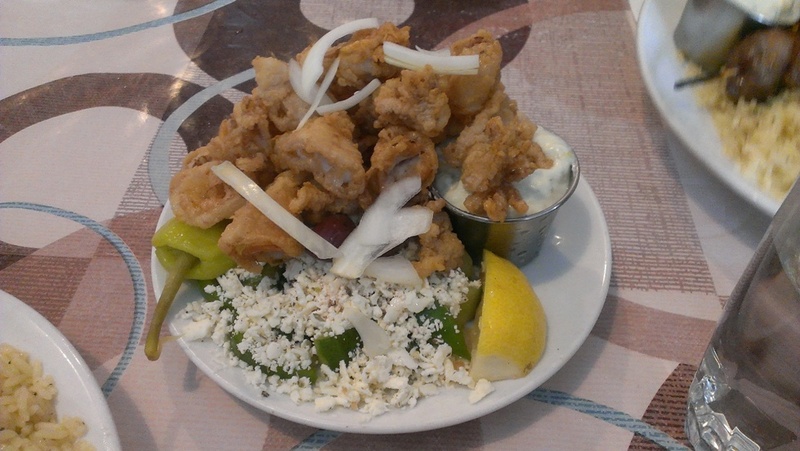 For another extra $3, you can get the rice, Greek salad, potatoes and a larger portion of calamari for the entree version. Taste wise it was not bad. 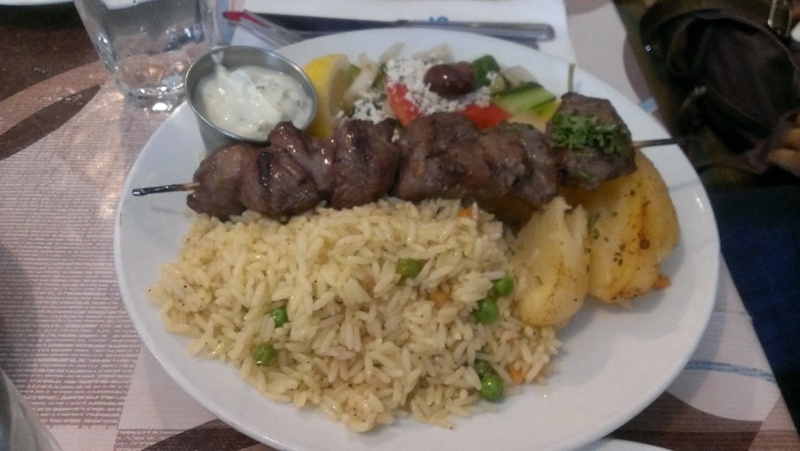 This entry was posted in Food Reviews, Greek and tagged calamari, cheap, Greek salad, roast lamb, souvlaki.